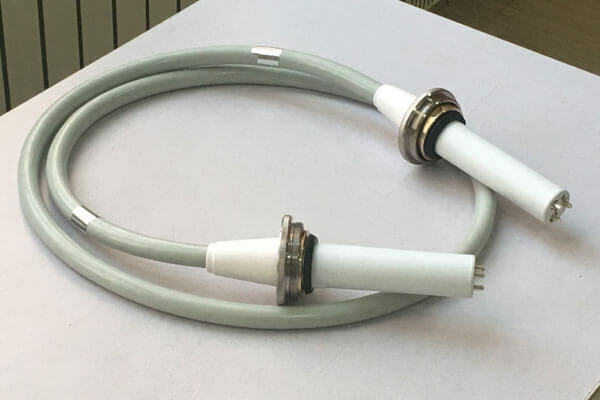 Medical power cable is used to connect the x ray tube and the generator to transmit the high voltage generated by the high voltage generator. The u-arm X-ray machine is mainly used for the photographic examination of human chest, limbs, pelvic cavity and lumbar vertebra. High-voltage cable as a transmission component is an essential part. Connected with high frequency and high voltage generator, the exposure conditions are stable and accurate, which can reduce the generation of soft rays while reducing the radiation dose and effectively protect patients and doctors. Self-diagnosis function can quickly and accurately judge the fault status, and can automatically protect, display the fault code, accurate, convenient and timely. Newheek medical power cable is divided into 75KV and 90KV, respectively for different types of X-ray machine. Our medical power cable can meet the requirements of different customers.